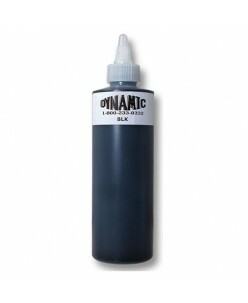 Dynamic Black Tattoo Ink (240ml.) The Dynamic ink range is famous for the quality of the Dynamic Black Tattoo Ink, which has been produced by Technical Tattoo Supplies as part of their range of dynamic inks, a range that was specifically developed to give a more intense and attractive colour on the skin. This is long lasting,.. Dynamic Black Tattoo Ink (30ml.) The Dynamic ink range is famous for the quality of the Dynamic Black Tattoo Ink, which has been produced by Technical Tattoo Supplies as part of their range of dynamic inks, a range that was specifically developed to give a more intense and attractive colour on the skin. This is long lasting.. 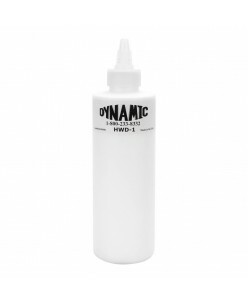 Dynamic Heavy White Ink pigment (240ml.) .. 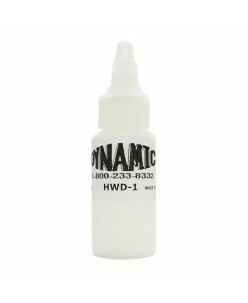 Dynamic Heavy White Tattoo Ink (30ml.) When it comes to finding the ideal white ink there are not many options that can compare against the Dynamic Heavy White Tattoo Ink, this provides you with a uniquely vibrant and durable selection, certain to offer a fantastic colour on the skin for some time to come. While some of the a.. Dynamic White Tattoo Ink (30ml.) ..